As you know I’m redecorating my bedroom right now. This means we’re spending an insane amount of money rebuying things that we already own. Welcome to 2018! 🙂 My theme is much lighter this time around and so I’m looking for white and off-white frames to place on our walls. 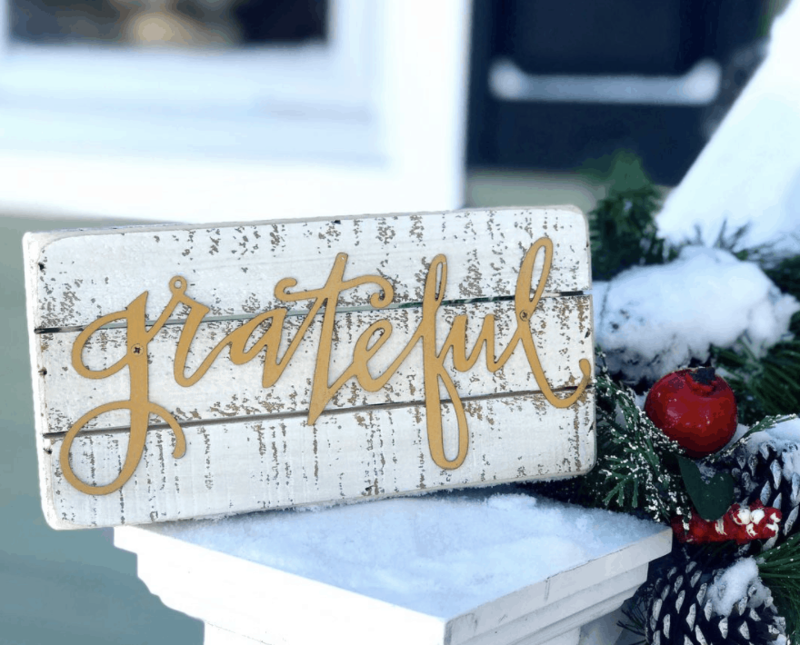 We came across this Grateful Wood Box Sign while shopping at the mall and just fell in love with it because the message and color scheme truly fits in with what I had in mind for our bedroom space. Not only does it stand for everything that I am trying to be about this year, but the color combo is right up my alley. I mean… GOLD? Have you seen my office?! I am OBSESSED. For $15, I took this piece home from the mall and placed it right next to my light switch by the door. This way, every time I enter my bedroom, I will see a reminder to be grateful for everything that life has given me. A happy family. A safe home. A blessed life. You have these things too, you know. I’m not special. We just have to notice them a little more often. If you are in the market for a grateful sign, be sure to click here and check out Francesca’s. I’ve written about them a few times this week because I LOVE THEM. They are one of my favorite places to shop for knick-knacks and fast fashion.